Governor Sanford has declared November 1st – 7th Earthquake Awareness Week. The South Carolina Earthquake Education and Preparedness (SCEEP) program at the College of Charleston is working with the South Carolina Emergency Management Division (SCEMD) to promote earthquake awareness throughout the state of South Carolina. On November 2nd, SCEEP will give a short presentation at the College of Charleston, on how to do an earthquake drill for schools. There will also be basic background on earthquakes in South Carolina, handouts for teaching about earthquakes, and an opportunity to ask lots of questions. School administrators, the media, and the general public are invited. Time: 6:30pm (room TBA) Please RSVP to Charlie Kaufman at KaufmanC@cofc.edu. On November 4th, public schools across South Carolina will participate in an earthquake safety drill to teach students what to do in case of an earthquake. Please feel free to check out SCEEP’s website if you have any questions: http://scearthquakes.cofc.edu/. Society for Science & the Public (SSP), with generous support from Intel, is pleased to announce the 2nd year of its Fellows Program. Their goal is to enable Fellows to guide students in producing project-based research of the highest quality, such as is submitted to SSP’s premiere science competition, the Intel Science Talent Search. The SSP Fellows Program will attract the most creative and motivated high school science and math teachers in the country. The SSP Fellows Program provides funds and training to selected US sicence and math teachers who serve under-resourced students, to enable interested and motivated students to perform high-quality independent scientific research. Through a competitive selection process, the Program will provide teachers the financial and training resources necesary to support and inspire the success of their most enthusiastic science and math students. Fellows may serve for up to four years. 2010 Application opens online November 16, 2009. More information can be found at http://outreach.societyforscience.org. The CofC Department of Physics and Astronomy will host an Public Open House on Friday, October 16th, from 7:30 – 9:00 pm. Public Open Houses are generally held the THIRD FRIDAY of each month during the academic year. Weather permitting, the observatory and observing deck will be open to the public. We will also have several fun activities for all ages in rooms on the first floor of the science building, and our inflatable planetarium will be set up in physicians auditorium. Enter the Rita Liddy Hollings Science Center (58 Coming Street, downtown Charleston) via the Coming Street entrance and follow signs to the roof. If you plan to bring a large group (10 or more), or if you will need special accommodations, please contact Chris True at truec@cofc.edu or 843-953-2031 ahead of time. Open-toed shoes are not permitted on the observing deck. Please dress warmly (it can be several degrees cooler and much windier on the roof than at ground level). Questions? Contact Dr. James Neff at neffj@cofc.edu or 843-953-5325. Anton DuMars, an adjunct professor in the Geology Department here at CofC, offers coastal tours through his company, Tideline Tours. This weekend I had the opportunity to tour the salt marshes around Folly Beach with Captain Anton – what a delight! Captain Anton shares his love of coastal geology, ecology, and local history through his tours. Check out Tideline Tours at www.tidelinetours.com – click on “Coastal Classroom” to explore opportunities for your class! 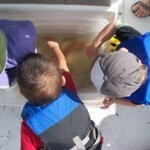 Children exploring fish, shrimp, and sponges netted (and released) during our tour. 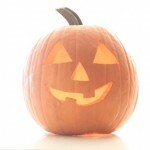 Welcome to the LHSM blog! Hi – I’m Starr Jordan, Director of the Lowcountry Hall of Science and Math (LHSM) at the College of Charleston. The LHSM is a science and math education outreach program for the College of Charleston’s School of Sciences and Mathematics. We host a variety of events throughout the year for educators and K-12 students. We also share a Resource Library with the Lowcountry Regional S2Mart Center (formerly the Math and Science Hub). Through this blog, I will share information about math and science resources and events in the South Carolina Lowcountry, as well as highlight various math and science resources available for loan in our Resource Library. For more information about the LHSM, please visit our website at http://www.cofc.edu/lowcountryhall. For more information about the Lowcountry Regional S2Mart Center, please visit their website at http://www.s2martsc.org/. For more information about the College of Charleston’s School of Sciences and Mathematics, please visit their website at http://ssm.cofc.edu/.